Jay Aspin. Photo c/o Richard Coffin 600 CKAT Country. According to the head of the parliamentary space caucus, the April 21st, 2015 Federal budget will provide "$30 million over four years to support the satellite communications sector which is what we're all about. We're going to be launching satellites out of North Bay." 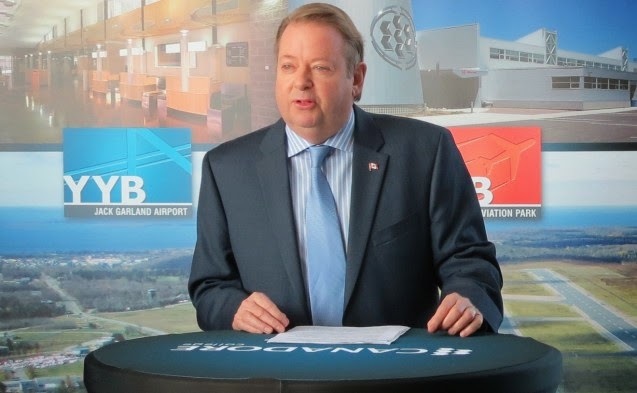 As outlined in the April 22nd, 2015 Baytoday.ca article, "Budget good for city's space industry says Aspin," those are the comments attributed to Nipissing-Timiskaming MP Jay Aspin, who currently acts as the vice-chair of the parliamentary aerospace caucus and as the chair of the parliamentary space caucus. Now that we've heard the hyperbole, what's the real story? As outlined most effectively in the April 22nd, 2015 Space News article, "Canada’s New Space Budget Extends ISS Commitment to 2024," the new budget will include "a commitment to increase Canada’s spending on satellite telecommunications at the European Space Agency and to continue as a partner in the international space station to 2024." 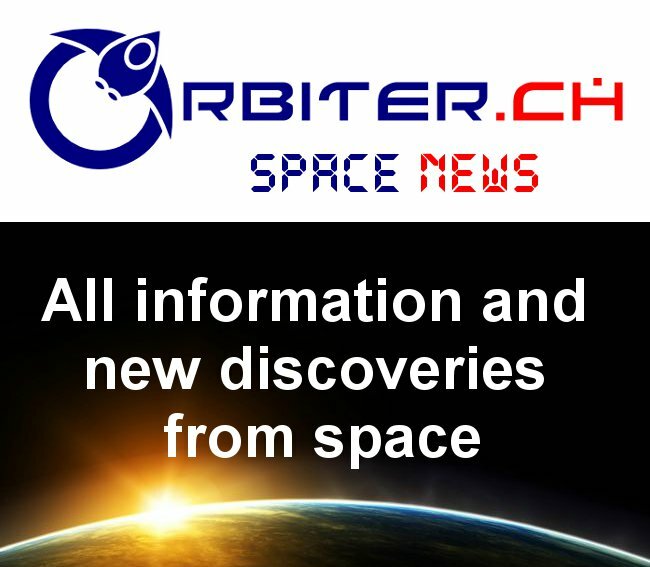 According to the Space News article, the new budget would direct an additional $30Mln CDN over the currently allocated totals to the European Space Agency’s (ESA) Advanced Research in Telecommunications Systems (ARTES) program over a period of four years, beginning in 2016. So how does spending money in Europe assist Canadian companies in North Bay? That's a little bit more difficult to explain. In essence, as a "participating member" of the ESA, Canada is allowed access to most ESA programs, but only so far as it pays for them. As outlined in the Space News article, "in 2015, Canada is expected to spend some 15.5 million euros ($20.39Mln CDN) at ESA covering both direct program participation and ESA overhead charges." The 28 page budget brief. The extra funds allocated in the new budget would be on top of the currently allocated funds, at least according to the April 21st, 2015 SpaceRef.ca post, "Canadian 2015 Budget Includes New Space Funding and Space Station Extension." And, as outlined in the Space News article, previous Canadian audits of the arrangement "have concluded that Canada’s membership in “Europe’s space club” generates more revenue in the form of contracts to Canadian industry than the Canadian Space Agency pays in annual ESA dues." So, the allocated funds could just possibly end up back in North Bay and Mr. Aspin's riding at some point, although that's certainly not guaranteed. Even better, the Federal budget did not indicate which ARTES effort would be receiving the additional funding. As for the part about continuing as a partner in the ISS until 2024, that promise should also be taken with a grain of salt, at least until the funding is allocated and the upcoming election, currently expected sometime later this year, is finally concluded. Just like the promised funding to the ESA, this new ISS promise is heavily dependent on the current government receiving a renewed mandate. Perhaps the best aerospace industry feedback relating to the budget is the April 21st, 2015 Canadian Council for Aviation & Aerospace (CCAA) press release under the title, "CCAA Applauds Minister Oliver and AIAC for Championing Canadian Aerospace Manufacturing and Advanced Skills Training for the Workforce." The 528 page full budget. The Canadian Council for Aviation & Aerospace, (CCAA) welcomes Minister Oliver’s initiatives for the Aerospace industry, and congratulates the Aerospace Industries Association of Canada, (AIAC), for its successful efforts to secure the federal funding necessary to increase support for the skilled trades in aviation and aerospace, as presented in the Economic Action Plan 2015. In essence, at least according to the CCAA, the Aerospace Industries Association of Canada (AIAC) and even the Emerson Aerospace Review Report (not the "Emerson Committee on Canadian aerospace skills and development," as it's described in the press release), it's all about jobs, even if those jobs are in a cool industry. Aren't elections always that way? Inside the DDO. Photo c/o Mark Girard from the DDO website. Sometimes the real story isn't what's being publicly said. An example of this would be the April 15th, 2015 Royal Astronomical Society of Canada (RASC) Toronto Centre (RASCTO) press release, "Dedicated Astronomers Given Canada's Largest Telescope." The group announced that Corsica Development was donating the David Dunlap Observatory (DDO) to them. What the press release didn't mention was the conflict, the mudslinging, the pressure tactics or the broken relationships over DDO. 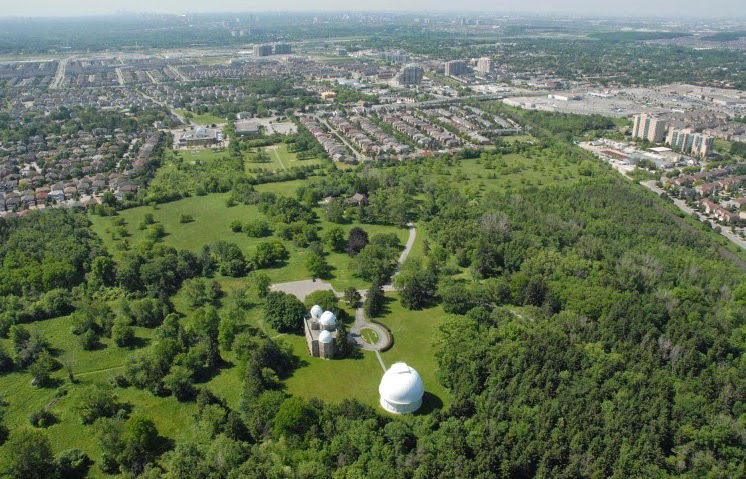 The observatory opened in 1935 in Richmond Hill, Ontario, a town just north of Toronto. David Dunlap, a mining executive, wanted to endow the University of Toronto (U of T) to build a new observatory. After Mr. Dunlap died in 1924 his widow, Jessie, went ahead with the endowment. When completed, the facility housed a 1.9-metre (74-inch) reflecting telescope, at that time the largest in Canada and second largest in the world. Several astronomers have done groundbreaking work at DDO. Astronomer and science advocate Helen Sawyer Hogg, a notable personality in a time when many universities would not award scientific degrees or offer academic positions to women, published the first of a series of major catalogs of variable stars and globular clusters. Sidney van den Bergh expanded the DDO catalogue with a database of dwarf galaxies. Tom Bolton was one of first astronomers to find evidence of black holes. 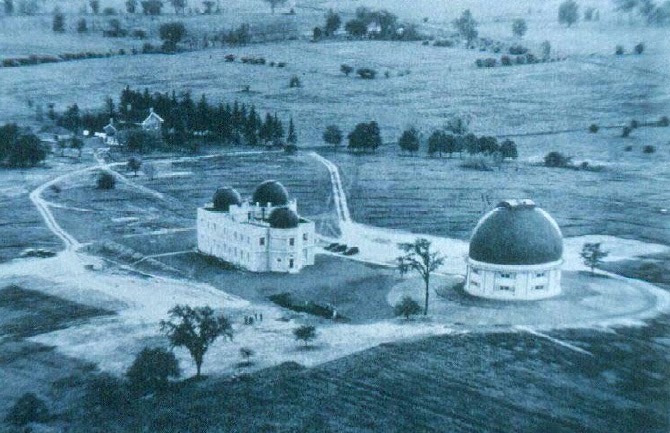 The view of DDO in 1935, with Observatory House and its three smaller domes visible in the upper left. Photo c/o the Town of Richmond Hill, Ontario. Over time newer facilities surpassed the observatory, and local development closed in around it. The university announced in 2007 that they would close DDO and put the property up for sale. That’s when the simmering conflict over the future of DDO boiled over. As outlined in the July 13th, 2009 Globe and Mail article, “From stargazing to navel-gazing: Astronomers feud over historic observatory," the university sold the 77-hectare (190-acre) property in 2008 to Corsica Development, a commercial real estate developer and subsidiary of Concord, Ontario based Metrus Development. The initial sale almost certainly contained a redevelopment component for the lands surrounding the DDO. After all, Metrus (now known as the DG Group as per the April 15th, 2015 Urban Toronto article, "Metrus Development Rebrands with Name Change to DG Group") has been one of Ontario's largest residential real estate developers for most of the last decade. But, to be fair, the developer also expressed a public interest in having an astronomy group continue to operate the observatory and knew of two groups who wanted it: RASC, and a group of astronomers who called themselves the David Dunlap Observatory Defenders. In 1960, the nightly work of Dr. Donald MacRae, an astronomer at DDO, formed the narrative framework of the National Film Board of Canada (NFB) short film Universe, which was nominated for an Academy Award in 1961. Universe Co-director Colin Low eventually worked with Stanley Kubrick on 2001: A Space Odyssey as did Universe narrator Douglas Rain (who became the voice of the HAL 9000 computer), Wally Gentleman (who did optical effects for both films) and others. Graphic c/o NFB. In response to the decision, the Defenders tried to block the opening. They said the telescope was a precious piece of Canadian heritage and expert astronomers should operate it, not amateurs as they claimed RASC members were. But their attempt failed and DDO reopened in July 2009 under the stewardship of the RASC. Things then settled down into a period of snide asides until an article from The Varsity, the U of T’s student newspaper, raised questions about both the university’s motives for selling the land and their legal right to sell. 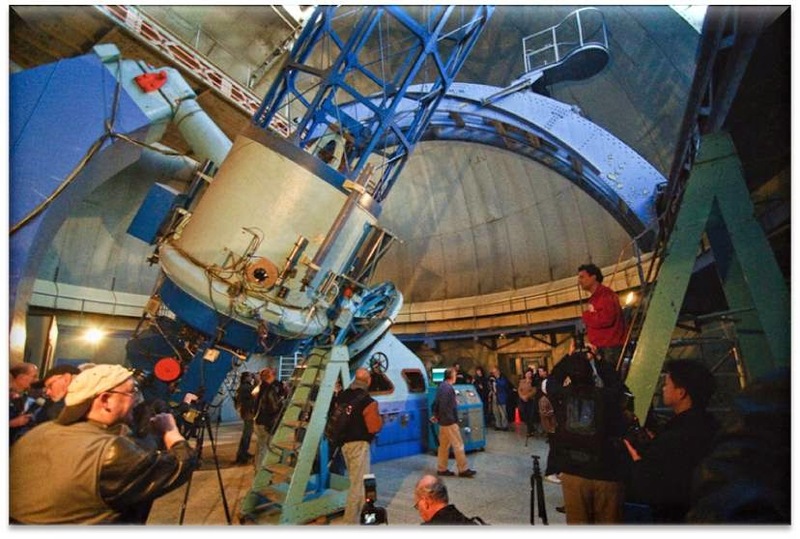 As outlined in the October 1st, 2012 Varsity article, “U of T and the Dunlap Observatory: 'A breach of public trust'?,” the U of T said they wanted to sell the property because light pollution made the telescope unusable for research. The Defenders disputed that claim. Both they and a Richmond Hill official said the sale was about maximizing financial return, not science. The Varsity article also said the deal violated the terms of the endowment, which said that the land must be used for research or else ownership would revert to the Dunlap heirs. Did the U of T have the legal right to sell the property? The university’s actions suggest it did not. Two of the heirs agreed to the university’s plan after a few months but the third, Donalda Robarts, held out. She launched a lawsuit. After four years of intensive lobbying by the university, Robarts gave in. Her lawsuit was settled and the records were sealed. But the fighting continued over the next several years between the groups—the developer, RASCTO, the Defenders, the town of Richmond Hill and even a new group called the Richmond Hill Naturalists, which focused on preserving the unused land surrounding the observatory. Graphic showing the outline of the 2013 OMB decision covering final usage of the lands associated with the DDO. Graphic c/o OMB. Finally, after a five year battle and as outlined in the May 2nd, 2013 Globe and Mail article, “Fight over David Dunlap Observatory lands ends peacefully,” the Ontario Municipal Board (OMB), an independent adjudicative tribunal, got the groups to negotiate a settlement. (The 24-page decision is here). 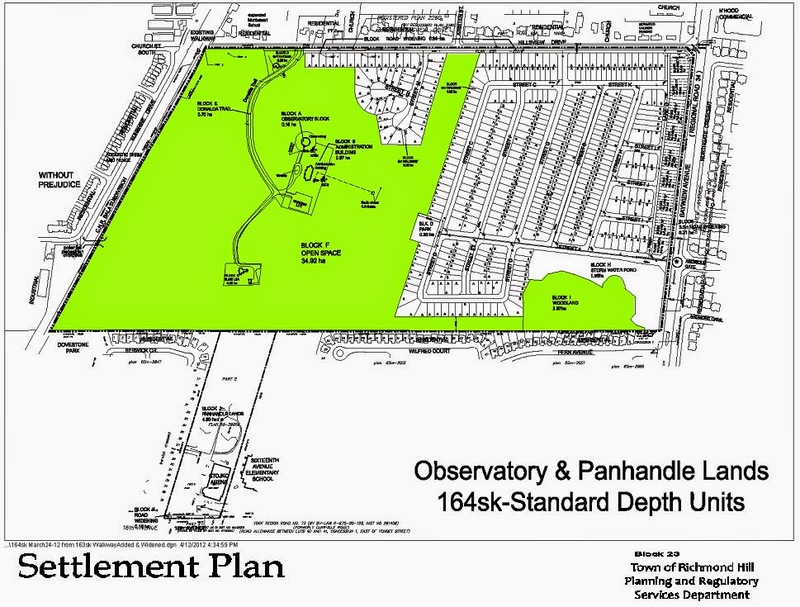 In essence, Corsica Development could build 520 housing units on the site; the town of Richmond Hill would get ownership of the observatory and its surrounding land. The Naturalists were the lone official holdout to the deal. However, the OMB rejected their appeal. The conciliatory tone of the Globe and Mail article suggested that the war was over—prematurely, as it turned out. In a December 18th, 2014 editorial “Competing observatory groups should work together,” the website yorkregion.com said the sniping continued in letters to them from some of the groups' members. The editorial ended with a plea to the groups to put aside the bad blood and work together. Of course, that doesn't seem likely to happen anytime soon. As outlined in the April 22nd, 2015 yorkregion.com follow-on article “Richmond Hill observatory donation by developer raises concerns,” the Defenders claim that, because RASC is a registered charity and not a public agency as the agreement stipulated, the surprise donation of the DDO to RASC on April 15th, 2015 violates the terms of the 2013 settlement and should be reversed. Aerial view of the DDO taken in 2005 showing the slow encroachment of surrounding residential subdivisions and the potential lands still available for further development. Over time, the light pollution from the built up areas have degraded the capabilities of the observatory. Photo c/o the Town of Richmond Hill, Ontario. Another lawsuit could be coming. This is a familiar story: competing visions, elitism and a sense of entitlement, the tempting smell of money, hardening battle lines and a lengthy, exhausting process with no one coming out looking good. It’s too bad that in their winner-take-all battle over a reflecting telescope, the combatants didn't do a bit of reflecting of their own. The Canadian Space Agency (CSA) has released a series of four images taken by the Near-Earth Object Surveillance Satellite (NEOSSat) in early 2015. The released images provide a strong indication that initial difficulties relating to the roll out of the satellite during the 2013 - 2014 period are finally being overcome. "Raw" low-res NEOSSat image of Orion Nebula. NEOSSat is a Canadian micro-satellite which uses a 15 cm aperture f/5.88 Maksutov telescope similar to the one used on the MOST spacecraft. It's stabilized on 3-axis and has a pointing stability of ~2 arc seconds in a ~100 second exposure. Image c/o CSA. According to Microsat Systems Canada Inc. (MSCI) director of micro-satellite programs Ross Gillett, the images have been deemed by the CSA to be suitable to release "for educational purposes," and are expected to eventually end up in university level academic presentations related to NEOSSat operations and the various technologies and techniques used to assess and study space derived images. 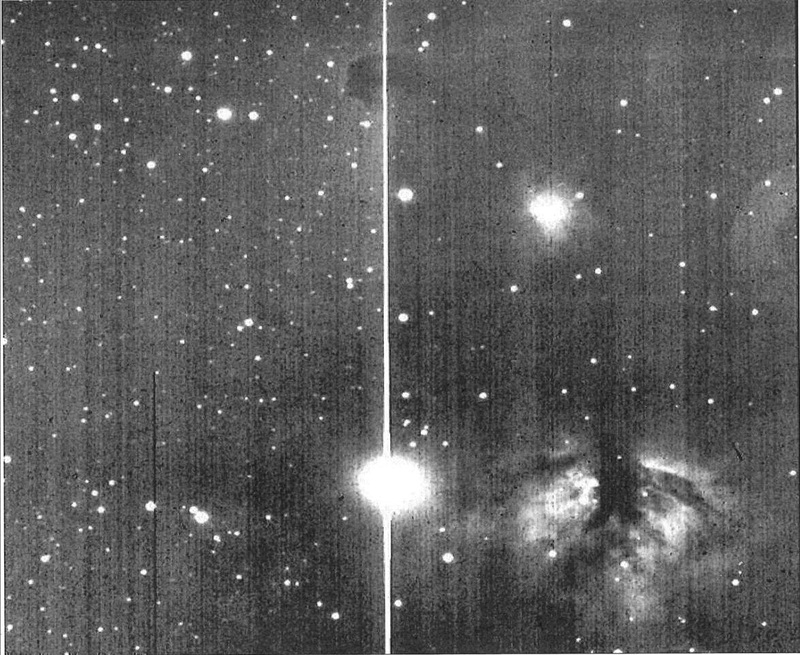 This is because the released images are "raw," monochrome, and exhibit small black flecks indicative of damaged charge-coupled device (CCD) pixels, (which are understood to be from radiation and aging), saturation from bright objects, and other artifacts that are normally removed from satellite imagery before public release through a process of clean up and flat-field correction techniques. 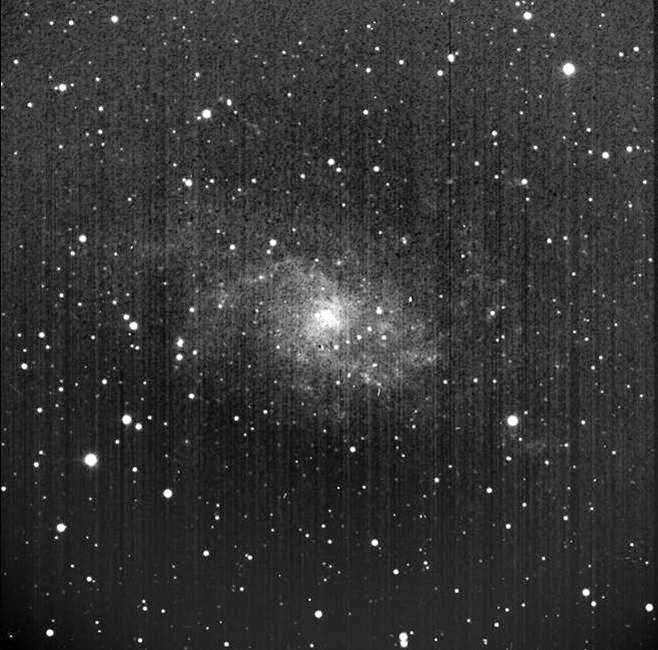 "Raw" NEOSsat image of M33 galaxy. Image c/o CSA. NEOSSat image clarity is also limited by the performance of the CCD itself, which spreads some of each pixel signal to the adjacent pixels and softens image clarity. 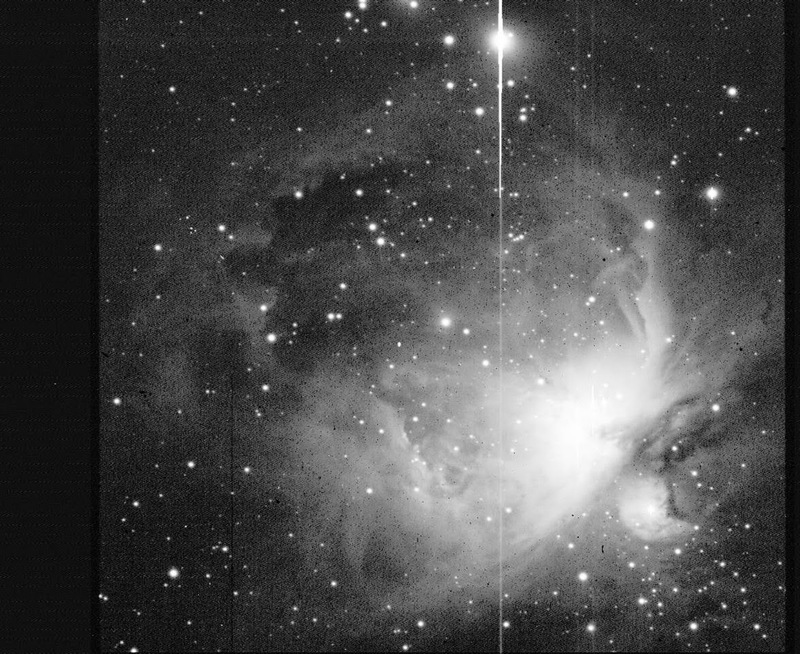 This is commonly done with CCD's to more closely reproduce the look obtained with a traditional optical telescope. Of course, flat field correction is a standard calibration procedure used on CCD images in everything from pocket digital cameras to the Hubble Space Telescope. Corrected NEOSSat images could reasonably be expected to be of a far higher quality and utility. NEOSSat images could also be coloured using well understood technologies such as satellite or ground based filter wheels and other methodologies, which are normally standard procedure for use on Hubble, other satellite derived images and even the images derived from ground based telescopes. According to Gillett, NEOSSat optical performance is very close to its "diffraction-limit," or as good as its 15 cm aperture size could ever permit, which is a testament to the skills and capabilities of the NEOSsat project team. NEOSSat also achieves better pointing stability than the earlier MOST space telescope. MOST is capable of about 1 arc second accuracy whereas NEOSSat is able to achieve 0.5 arc second accuracy. MSCI, which recently took over the operations of the Microvariability and Oscillation of STars (MOST) micro-satellite (as outlined in the April 15th, 2015 post, "The MOST Space Telescope Joins the Private Sector") is also the prime contractor for NEOSSat. 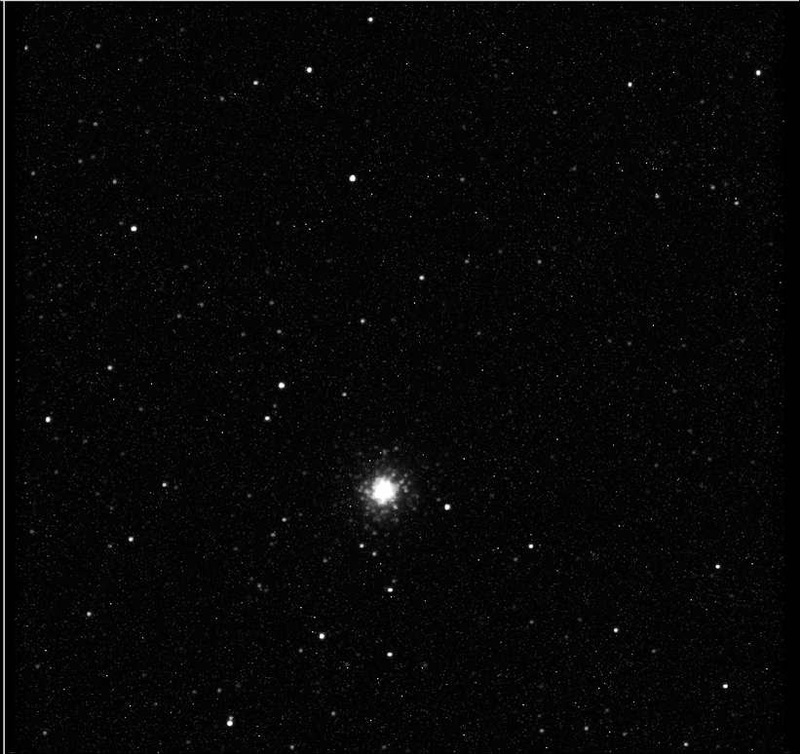 "Raw" NEOSsat image of M2 cluster. Image c/o CSA. But MSCI's primary challenge, and NEOSSat's main role, has always been to detect and identify near-Earth asteroids, satellites and debris orbiting the planet, which are activities normally requiring a higher degree of control over the direction in which the NEOSSat telescope gets pointed than is necessary for stellar imaging. And, as outlined in both the July 7th, 2014 post, "NEOSSat Not Up to the Job; Government Report Blames Contractor," and the July 28th, 2014 follow-up, "Customers vs Project Managers: The Real Truth about NEOSSat," there was initially much concern over whether the satellite would ever be able to fulfill its primary mission. However, it's quite possible that NEOSsat has also recently been tracking asteroids with success. A second series of so far unreleased NEOSSat images, (likely taken during the tracking of the January 26th, 2015 close approach of asteroid 2004 BL86 to within approximately 1,2Mln km of the Earth), is rumored to be noteworthy, if only because it purports to exhibit the superb pointing stability (0.5 arc seconds, or 1/7200 degree) that NEOSsat is required to achieve operationally as per its designed specifications. So has NEOSSat overcome its initial difficulties to achieve its mandated operational capabilities? According to Gillett, the CSA has already formally declared NEOSSat as compliant to its specified performance for both the planned Defense Research and Development Canada (DRDC) high Earth orbit surveillance system (HEOSS) mission to monitor orbiting satellites and space junk and the University of Calgary near Earth space surveillance (NESS) mission to detect and track asteroids. However, no one at the CSA seems currently willing to go on record to confirm this. Look for that to change over the next few months as data from the program slowly begins to trickle out into academia. "Raw" NEOSSat image of the Horsehead Nebula. According to the MSCI website, the micro-satellite is designed to "detect and identify near-Earth asteroids and to track satellites and debris in Earth’s orbit." The principal investigators are Dr. Alan Hildebrand at the University of Calgary and Dr. Brad Wallace of DRDC. Image c/o CSA. Our Space Agency Dreams of Going to Infinity and Beyond!!!!! The event has been postponed at least once already and likely will be postponed yet again. But, as of now, the 2015 Canadian Space Conference, organized and sponsored by the Canadian Space Agency (CSA), is listed on the CSA website as scheduled to occur in the John H. Chapman Space Centre in Saint-Hubert, Quebec from June 2nd - 3rd, 2015. CSA headquarters. 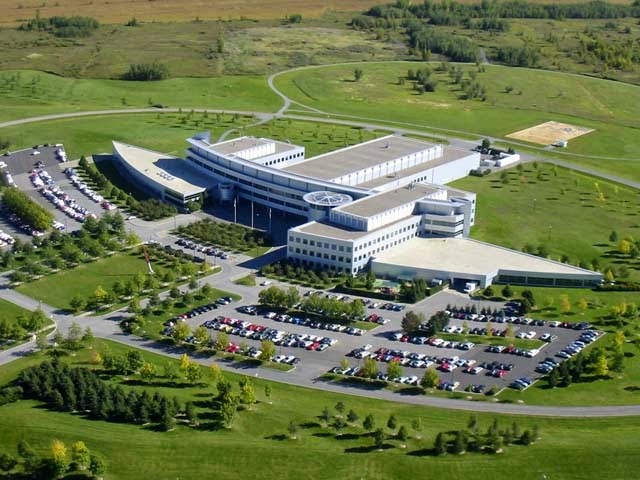 The John H. Chapman Space Center, located in the municipality of Longueuil, Quebec is a complex of four buildings (an "antenna building," a "pumping room," an "exploration storage facility" and the Chapman Space Centre) fronted by a parking lot, at least according to the Treasury Board of Canada Directory of Federal Real Estate property. Photo c/o the Treasury Board of Canada Directory of Federal Real Property. It's also worth noting that the 2014 Canadian Space Conference, which was held at the same location on February 25th, 2014 and served as the subject of the February 25th, 2014 post "The "Casablanca" of Space Conferences," was generally considered to be less than a rousing success. 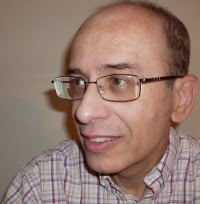 Sylvain Laporte. Photo c/o CSA. Much like last time, the possibly upcoming event will focus on Federal government position papers like Canada's Space Policy Framework and Seizing Canada's Moment: Moving Forward in Science, Technology and Innovation in order to examine how to come most effectively into Federal government compliance with these political initiatives. But there will also be plenty of time for industry and interested individuals to network, "share their long-term vision and goals" and even listen to "notorious members of the Canadian space community share their views on the future of Canada in space," at least, that's what's going to happen according to the CSA website description. Of course, the event won't be all fun and games. Included with the schedule is a "Side Event on RADARSAT Program Data Exploitation," plus the presentation of the annual John H. Chapman Award of Excellence. Hopefully, new CSA president Sylvain Laporte will be in attendance if the conference ends up taking place. Perhaps he'll even say something interesting. Not that there'd be anything wrong with that, either. Screenshot of the CSA webpage promoting the Canadian Space Summit taken on the morning of April 21st, 2015. According to the website, the event will also include the presentation of the annual John H. Chapman Award of Excellence. Later the same day, the website was taken down. The Canadian Space Conference has been postponed to ensure that the best conditions are in place to allow us to build on the productive and meaningful discussions of last year. The Canadian Space Conference is a key opportunity to achieve a common understanding of the current space context and to explore Canada’s future in space together. Also note that our events web page has been updated. According to the updated website at http://www.asc-csa.gc.ca/eng/events/, the event has been "postponed" and "a new date will be confirmed shortly." The main event website at http://www.asc-csa.gc.ca/eng/events/2015/csc.asp remains offline. Of course, this article will be updated as further information becomes available. It looked like "curtains" for the plucky Microvariability and Oscillation of STars (MOST) micro-satellite in April 2014 when the Canadian Space Agency (CSA) announced that funding would be withdrawn as of September 9th 2014. An April 13th, 2015 screenshot of the UBC webpage for the MOST space telescope, which lists the partners who contributed to the ongoing success of the mission and some of the more recent discoveries. Graphic c/o http://most.astro.ubc.ca//. But with the assistance of many of the same scientists and engineers who helped design, manufacture and launch the satellite in 2003, MOST remains operational and capable of contributing new data for scientific research. MOST was designed, manufactured, and launched under prime contract to the CSA and led by the team of engineers who later formed Microsat Systems Canada Inc. (MSCI). After the launch in June 2003, MSCI commissioned the spacecraft and has operated it ever since. Since then the spacecraft has executed the MOST mission in partnership with the science team led by principal investigator Jayme Matthews and the University of British Columbia (UBC). The results have been spectacular - exceeding expectations on all fronts including spacecraft performance, quality of the scientific data, and spacecraft longevity. MOST, nicknamed the “humble space telescope,” has already outlasted the similarly-tasked French Space Agency (CNES) COnvection ROtation and planetary Transits (COROT) telescope and the NASA Kepler spacecraft to contribute enormously to the global body of astronomical knowledge – a contribution well out of proportion to its very modest $10Mln CDN capital cost. UBC professor and MOST principal investigator Jaymie Matthews with the MOST telescope prior to its launch in 2003. Although officially de-funded by the CSA in September 2014, the satellite was acquired by MSCI in October 2014 and remains available for use on a rental basis. Photo c/o CSA. However, by April 2014, the MOST mission in CSA had run its course. Shifting government priorities brought on by pressure from the Canadian space science community for new initiatives resulted in elimination of government funding for continuing MOST operations after September 2014. There was still strong interest from the international science community to use MOST as a platform for astro-seismology and exo-planet discovery. MSCI and CSA agreed to an outside process for establishing the value of the MOST satellite and reached agreement for MSCI to acquire the satellite and its operating license in October 2014. The MOST transition to industry correlated well with both MSCI business strategy and CSA policy for industry support. Since October 2014 MOST has been in commercial operation and is currently performing observations for its third consecutive client. MOST observations remain almost fully booked to the end of summer 2015 at time of writing, and it is anticipated that this success will continue for the remainder of its operational life. Science activities include star oscillations, exo-planet discovery, and even asteroid tracking similar to the mission performed by its cousin, the Near-Earth Object Surveillance Satellite (NEOSSat). In essence, this has been a win-win scenario for everyone involved with the program. It has been gratifying to see this Canadian success story continue to remain healthy and useful, and to produce high quality data for the international science community well into its "retirement" years. 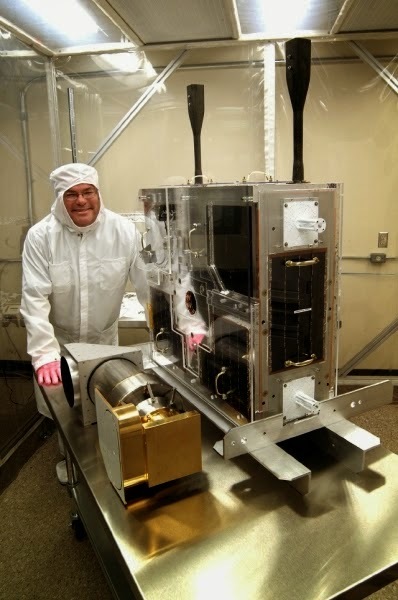 Ross Gillett is the director of microsatellite programs at Microsat Systems Canada Inc. (MSCI). 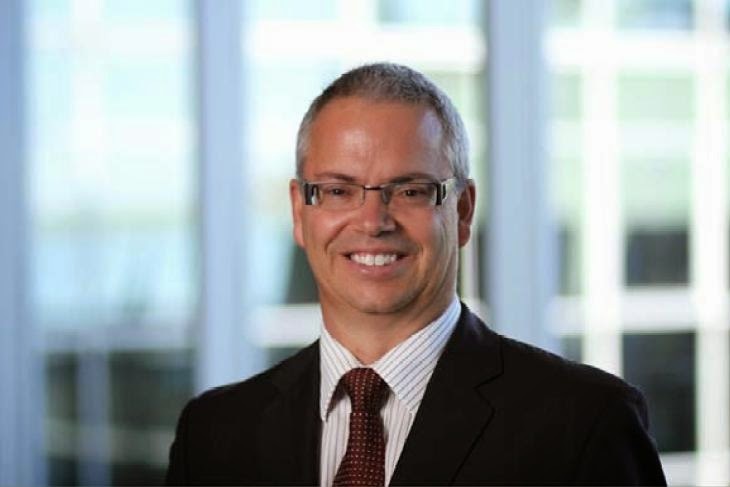 He has worked for more than 20 years in the Canadian aerospace industry beginning with the Canadian space station program at Spar Aerospace Limited, which was later acquired by MDA Space Missions, before joining MSCI in 2007. Vancouver based, Earth imaging company UrtheCast certainly began 2015 with a bang, starting with the January 2015 announcement that the company was hiring and expanding. Since then, several additional announcements have added to the positive buzz surrounding the publicly traded company. 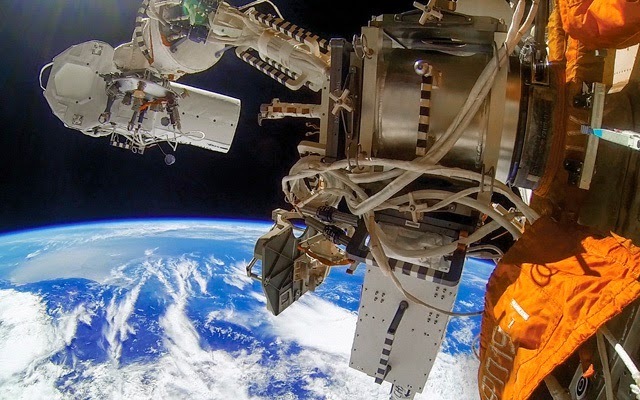 The view towards Earth from the UrtheCast high and medium resolution cameras on the Russian Zvezda module of the International Space Station (ISS). As discussed in the June 13th, 2014 CanTech Letter post, "Google’s acquisition of Skybox is validation for Urthecast, says Clarus," the Urthecast revenue is derived from reselling Earth imaging data collected from orbit. As outlined in the June 10th, 2013 post, "UrtheCast Proceeds with Takeover and Funding for ISS Camera's," the firm received it first large cash infusion through a private sector "reverse takeover" of inactive Canadian mining company Longford Energy. Photo c/o Urthecast. As outlined in the January 25th, 2015 post, "Canadian Space Company UrtheCast is Hiring," the company began the year by announcing its expansion plans, required to support a $65Mln CDN five year contract signed in November 2014 with an unnamed, "confidential customer." Of course, it's quite possible that an indication of just who that unnamed confidential customer could potentially have been was supplied by the February 2015 announcement that Letitia A. 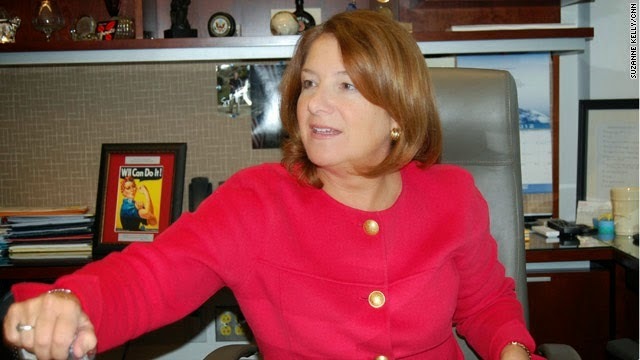 "Tish" Long, a retired US government employee was joining the UrtheCast board of directors. Tish Long. 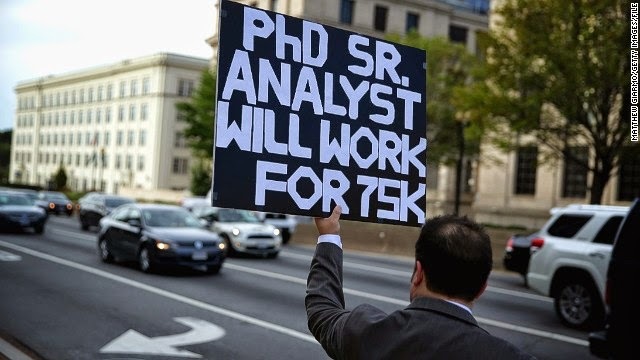 Photo c/o CNN. As outlined in the February 23rd, 2015 Canadian News Wire (CNW) press release, "UrtheCast Appoints New Board Member Letitia "Tish" Long, Former Director Of The National Geospatial-Intelligence Agency," Long previously served as the US deputy director of the Defense Intelligence Agency (DIA), the deputy Under Secretary of Defense for Intelligence (policy, requirements, and resources), the deputy director of naval intelligence and the executive director for intelligence community affairs at the Director of Central Intelligence (DCI). According to the CNW press release, Long's last job as the director of the National Geospatial-Intelligence Agency (NGIA) was to manage the provision of "timely, relevant, and accurate geospatial intelligence in support of national security" to both the US Department of Defense and the US intelligence community, a grouping of 17 separate US government agencies. These organizations used NGIA derived data to conduct intelligence activities (including espionage), contribute to military planning and perform other activities considered necessary "for the conduct of foreign relations and national security." All of which has just got to suggest dozens of potential new Earth imaging clients at the very heart of the US intelligence community. 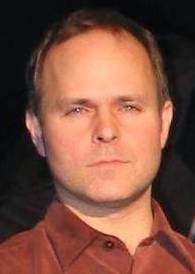 UrtheCast CEO Scott Larson. Photo c/o Vancouver Business. Of course, just three weeks later, as outlined in the March 11th, 2015 UrtheCast post, "UrtheCast Partners With Pepsi® To Provide Innovative Earth Video Solutions For The New Pepsi Challenge™," the company announced a "brand partnership" with PepsiCo Inc., an American multinational food and beverage corporation, to provide full color ultra high-definition video Earth images for the brand’s 2015 global "Pepsi Challenge" marketing campaign. In essence, it looks like the UrtheCast client base won't be restricted to intelligence agencies. Then came the announcement of the first ever quarterly profit for the company. As outlined in the March 23rd, 2015 Business in Vancouver article, "UrtheCast brings in first-ever revenue, posts profit of US$6 million," the profit was the logical consequence of the $65Mln CDN contract signed in November 2014. The article quotes UrtheCast CEO Scott Larson as stating that, "the improvement of our cash and working capital positions, combined with the technical progress that we have made, puts (UrtheCast) in an excellent position for growth in 2015." And finally, as outlined in the April 8th, 2015 UrtheCast post, "UrtheCast Corp. enters into a bought deal agreement for gross proceeds of C$15,000,000," there was the announcement that UrtheCast will be raising an additional $15Mln CDN in Alberta, British Columbia and Ontario, through the use of what is called a "bought deal" financial arrangement. The offering is expected occur on or about April 16th, 2015 but will be subject to regulatory approval. Taken together, these individual announcements reflect well on the current fund raising capabilities and potential sales opportunities for UrtheCast, but also serve as an example to Canadian space companies who don't wish to depend on Canadian Space Agency or Industry Canada contracts to remain in business. The April 4th, 2015 Waterloo Region Record article, "Outer space, mobile robots and programmable surfaces: the future of manufacturing," puts forth the thesis that high technology firms focused around 3D printing, advanced sensor creation, mobile robotics development, aerospace and nanotech are replacing traditional manufacturers and are the future of North American industry. As outlined in the September 11th, 2011 Bloomberg article, "Can Retraining Give the Unemployed a Second Chance?" it's often easier for new, high technology companies to hire recent graduates than to retrain those already in the workforce. Graphic c/o CNN. The article portrays such high tech jobs as a panacea for terminated workers but neglects to examine the barriers to entry when it comes to retraining displaced workers from traditional industries. Clearpath Robotics – A maker of autonomous ground, air and water vehicles which, as outlined in the March 18th, 2015 Globe and Mail article, "Kitchener’s Clearpath Robotics gets cash boost to meet high demand," recently received a $14Mln CDN cash injection from a consortium of US venture capital firms which included RRE Ventures and iNovia Capital. COM DEV International – The firm is a global provider of space hardware and services with annual revenues of $216Mln CDN, and facilities in Canada, the United Kingdom and the United States and a contract to build the guidance sensor and scientific instrument for NASA's controversial James Webb Space Telescope (JWST). As outlined in the December 15th, 2014post, "COM DEV Buys a Scottish Microwave Equipment Manufacturer," the company just recently concluded the first of a promised series of international acquisitions intended to grow the company and gain access to foreign markets. Since then, COM DEV has continued along the path of growth by international acquisition, as outlined in the April 1st, 2015 Blackbird Satellite News article, "COM DEV enters Waveguide Market with Acquisition of Pacific Wave Systems." 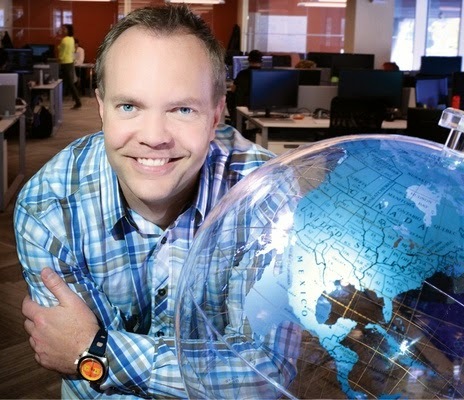 exactEarth LLP – A COM DEV subsidiary that utilizes micro-satellites to monitor global ship traffic. Héroux-Devtek – A Quebec-based manufacturer of landing gear and associated components for the aerospace sector. As outlined in the March 23rd, 2015 Flight Global article, "Canada's Héroux-Devtek gears up for big time after landing 777X deal," the firm recently won a large contract to design and manufacture the main and forward landing gear for Boeing’s new 777X. Lani Labs – An online marketplace for purchasing 3D models for 3D printing at home or uploading one's own designs to a 3rd party for printing . Maieutic Enterprises - A nano-tech firm developing real-time shape-shifting surfaces made of nano-scale "pins" that could take replace traditional molds. Ontario Drive & Gear (ODG) – A builder of specialized transmissions and drive trains as well as the Argo family of all-terrain vehicles. As outlined in the December 1st, 2014 post, "New CSA Rover Contracts Worth Over $3.28Mln CDN Uncovered," the firm is also a subcontractor to the Canadian Space Agency (CSA). As outlined in the Record article, the Waterloo region began evolving into a high-technology centre in the early 1980's in response to the closing of local rubber and consumer products factories. One of the first, COM DEV, relocated to nearby Cambridge, ON from Montreal, QC in 1979. COM DEV's move was driven by Cambridge's proximity to multiple universities, i.e. access to technical talent. The article noted that Com Dev now has 1,100 employees, with the majority possessing engineering or other advanced technical degrees. Also discussed was Héroux-Devtek's February 2015 opening of a state-of-the-art landing gear components facility for the Boeing 777 in Cambridge. The Waterloo Region Record article pointed out that this facility opened on the same day that a Schneider's meat processing plant in Kitchener (one of the region's largest employers) closed, with a loss of 1500 jobs. The juxtaposition of these two events in the article attempts to frame the Schneider's job losses as being "balanced" by the opening of the Héroux-Devtek plant. But it's not clear from the article, how many of the displaced workers (if any) from the closed rubber plants and Schneiders Meats found alternate employment at COM DEV and Héroux-Devtek. Given the disparate requirements of the two facilities, its quite likely that there weren't all that many. 3D printing, nanotechnology and other advanced technologies do offer the promise of preserving some Canadian manufacturing in the face of low-cost labour from China and Mexico, but are not a panacea for discarded workers. Many of these workers lack the higher technical education that these new fields require. Also, many of these displaced workers are also in a higher age bracket (typically 40's to 50's) and face difficulties in finding other work due to age discrimination on the part of employers. Worker retraining programs and initiatives to combat ageism are essential if displaced workers are to find alternate employment. The issue of job losses in the manufacturing sector hit a personal note with the author. The author's father, a ceramics finisher for a large US-based maker of bathroom fixtures, lost his job when his Toronto factory closed down in the late 1990's and the work was exported to Mexico. Unable to find other work in manufacturing, the author's father became a baker. If the high technology sector is to be the path to economic recovery, its opportunities must be widely accessible. The Canadian Space Agency’s (CSA) website isn't just for kids’ school projects or the casual space fan. Educators, space business people, scientists, engineers, and members of the media will find resources that are useful to their work. CSA website screenshot taken April 5th, 2015. This section of the CSA website contains documents relating to its broader mandate within the Canadian government. The CSA was established in March 1989 under the Canadian Space Agency Act and works with the Department of National Defense (DND) on military space-focused activities and the Department of Foreign Affairs and International Trade (DFAIT) on activities related to international co-operation and technology transfer. As per the 2012 Federal Review of Aerospace and Space Programs and Policies (or "Emerson Report"), the CSA acts "as a technical supervisor" to support specific committees, to the Minister of Public Works in order to help negotiate "co-operative agreements with other countries' space agencies," co-manages space technology development (along with the National Research Council), conducts its own research, operates its existing satellite inventory and maintains the Canadian astronaut program. The current chief executive officer of the agency is president Sylvain Laporte, who reports directly to the Minister of Industry. Graphic c/o CSA. In part one of this series, we looked at the CSA resources available for educators and business. This week, we'll take a look at CSA resources relating to the scientific community, media resources, and museums, science centres and cities that host CSA exhibits. On of the challenges to the CSA over the last few years, at least since the publication of the 2012 Federal Review of Aerospace and Space Programs and Policies (or "Emerson Report"), which was most recently discussed in the February 27th, 2014 post on "The "Casablanca" of Space Conferences," has been the role of the CSA in the scientific community. Because of this, the Scientific Community section of the CSA website might not be up-to-date and some of the Advisory Committees and Working Groups may not be active. However, this is what the CSA website currently lists. The CSA’s Parabolic Flights program for microgravity research, which is part of the National Research Council’s Research Aircraft Program, offers a variety of rotary and fixed-wing aircraft on a fee for service basis. The CSA had not responded to an email request about these programs at the time this article was published. The Visiting Fellowships in Canadian Government Laboratories (VF) Program. The VF program gives promising scientists and engineers the opportunity to work with Canadian government laboratories and research institutions. Fellowships run for one year and are renewable for up to two years. The CSA is one of 11 on the list of participating agencies. Scientific research funding also comes under Grants and Contributions, which is under the Resources heading. Both solicited and unsolicited proposals for scientific research are considered. Projects must support CSA priorities in science and technology. A table of contents on the right side of the page gives details about project objectives, eligible recipients, and the application process. Graphic for the 2015 Canadian Space Conference, organized by the CSA, which will be held from June 2nd - 3rd, in Saint-Hubert, Quebec. The 2014 event was discussed in the February 27th, 2014 post on "The "Casablanca" of Space Conferences." Image c/o CSA. The final, at least for now, assessment of the CSA initiatives is likely to be hashed out in time for the 2015 Canadian Space Conference, which will be held at CSA headquarters in Saint-Hubert, Quebec from June 2nd - 3rd. The objective of the conference is to "bring together key players from across the Canadian space sector to achieve a common understanding of the current space context at a national level and to explore a way forward for Canada in space." CSA press room. Graphic c/o CSA. The Media section has resources for journalists. The page has contact information for CSA media relations and the more recent press releases. The main government news site has all of the CSA press releases. Links to various CSA social media content are on this page (Facebook, Twitter, YouTube, the CSA RSS feed, Foursquare, Flickr, the CSA video gallery, Tumblr, WebTV, and the CSA UStream channel). Additional links to social media not found here are on the CSA Social Media page. The previously listed image and video galleries are a good source of freely available material, too. The Resources section has a variety of reports under the Publications subheading. The menu is on the left side of the page. CSA Publications include corporate publications, corporate publications by sector, reports to parliament, quarterly financial reports, and audit and evaluation reports. The Museums, Science Centres and Cities section lists CSA exhibits. Living in Space Exhibition. Graphic c/o CSA. The Living in Space Exhibition at the Canada Aviation and Space Museum is a bilingual, interactive exhibition that shows visitors how astronauts live in space. The exhibit includes a robotics simulator that visitors can practice with, an electronic touch table that shows the challenges of eating in space, and a collection of unique space artifacts. The Canadarm exhibit is an interactive exhibit also at the Canada Aviation and Space Museum. This robotic arm spent 30 years on-board the space shuttle Endeavour. The AuroraMAX simulator is at the Northern Frontier Visitors Centre. The simulator is an interactive exhibit designed to teach visitors about the science behind the Northern Lights, its effect on the Sun and Earth, and why the CSA studies space weather. The Social Media page has links to various CSA social media content that you’d find on the Media page with the addition of the AuroraMAX Facebook and Twitter accounts, and the Twitter accounts of astronauts David Saint-Jacques and Jeremy Hansen. The Web TV page shows CSA broadcasts. The page also has a link to the CSA’s UStream page. The CSA website isn’t just for the kids or the casual space fan. It has a lot of useful information that can help professionals educate, get new business, get funding for research, or get career-building experience.